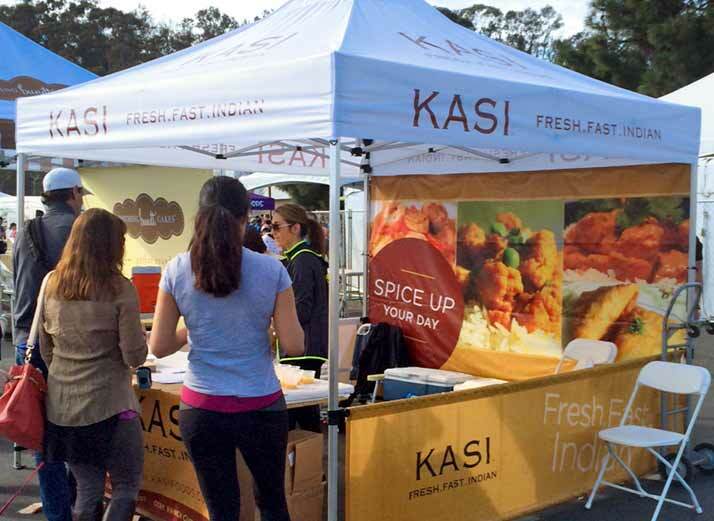 The Challenge: KASI Restaurants wanted to present a professional image and get more active in the community with food sampling at regional events. The Solution: I created a canopy with three optional walls: a full-height back wall and two short side walls. The awning is compact for transport and can be set up and taken down by one person. To complete the package I created a banner for the table, handout coupons, catering flyers and rack cards to promote the restaurant. While working with KASI I had the chance to assist in the booth at several events and tastings and the booth was a hit with staff and the public.